"Rivulates Topography", dapped and molded. 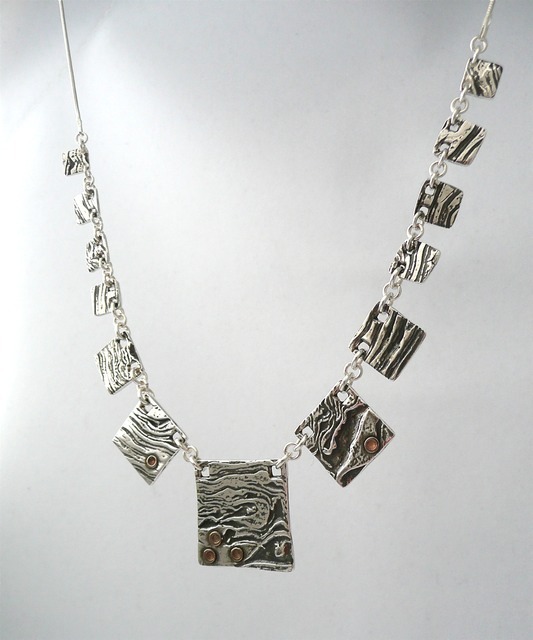 Fine silver (pmc), sterling silver, bronze, 18", 2012. Sold.